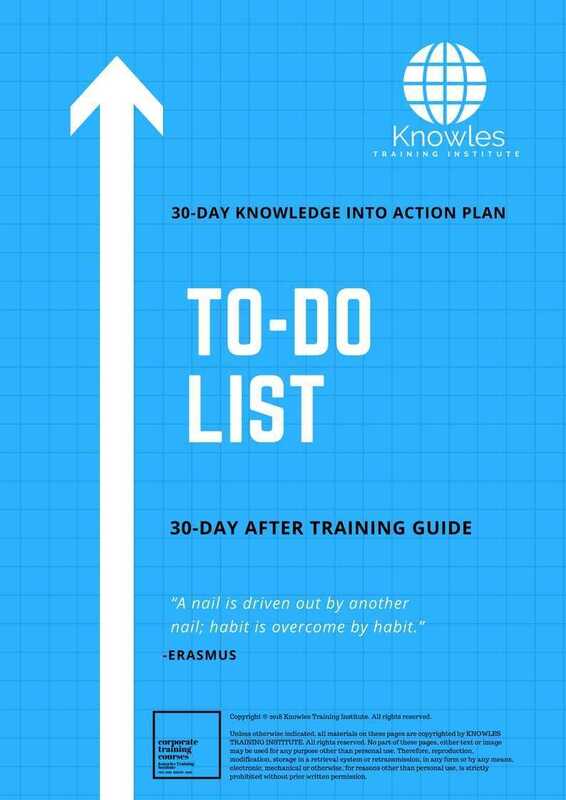 As the name implies, to-do list consists of a list of tasks and events that are to be done by an individual within a time frame. 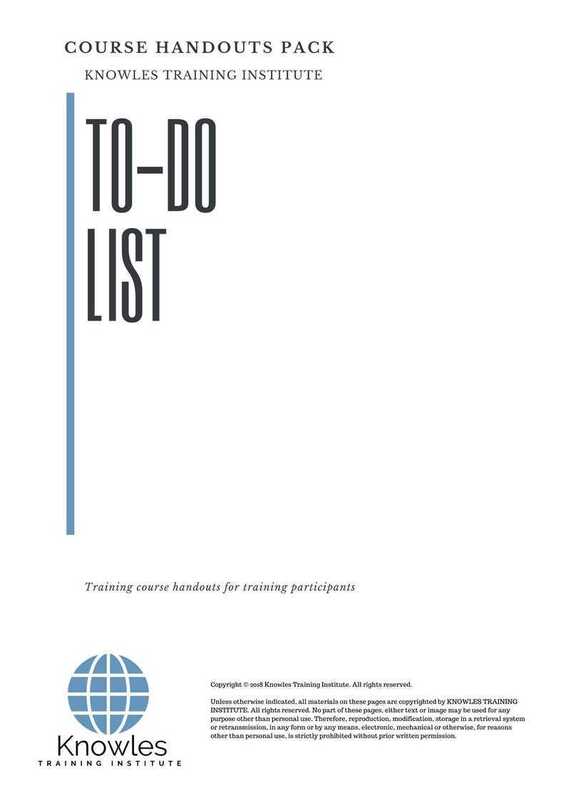 To-Do list keeps an individual organized and allows them to prioritize tasks. The tasks that are urgent but cannot be performed can be delegated to other individuals timely. To-do list helps individuals manage their life and it is rewarding. When a task is fulfilled the individual ticks off the tasks and it is encouraging. It provides self-confidence and motivation. 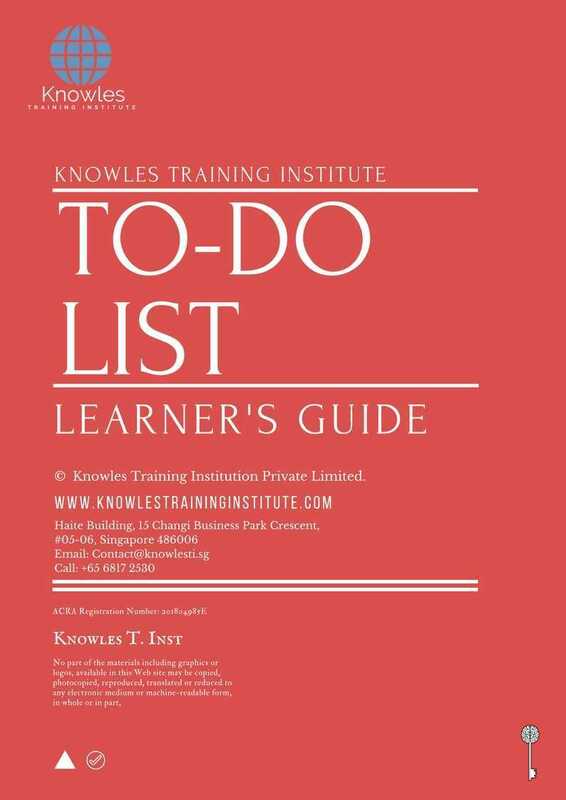 Knowles Training Institute is providing an opportunity to individuals to understand the importance of to-do lists and manage their time effectively. 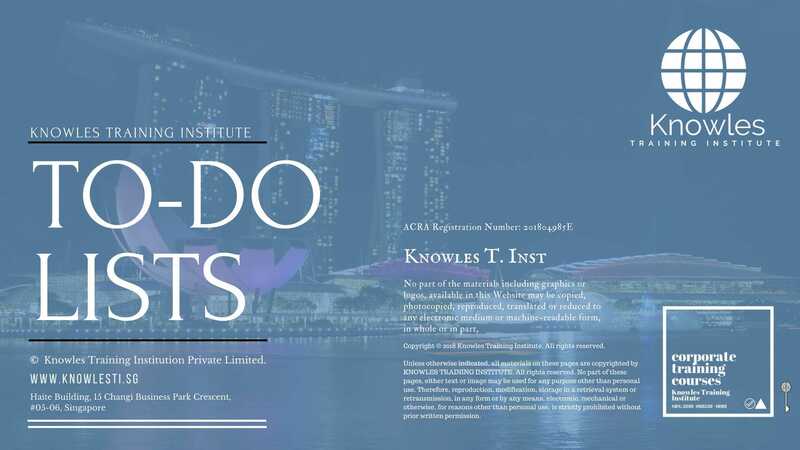 It is necessary for building one’s capacity as a responsible, well-versed and efficient business professional. This is necessary for an individual to progress in the corporate ladder and make a name in the society. Why is it important to prepare a to-do list? How to handle tasks effectively? How to use different apps for preparing to-do lists? Understand how timely work can result in career progression and timely promotion? How to apply corrective measures when to-do lists are lagging behind time?